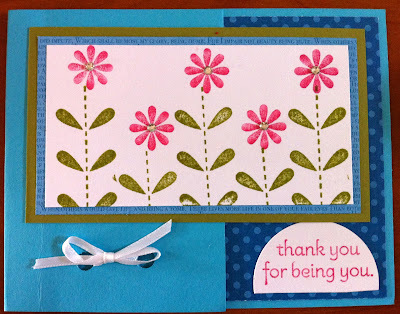 I've posted a couple samples before using the Bold Blossom set from the Summer Mini catalog. I'm really enjoying this set and its versatility. Here are two more samples I created just today. 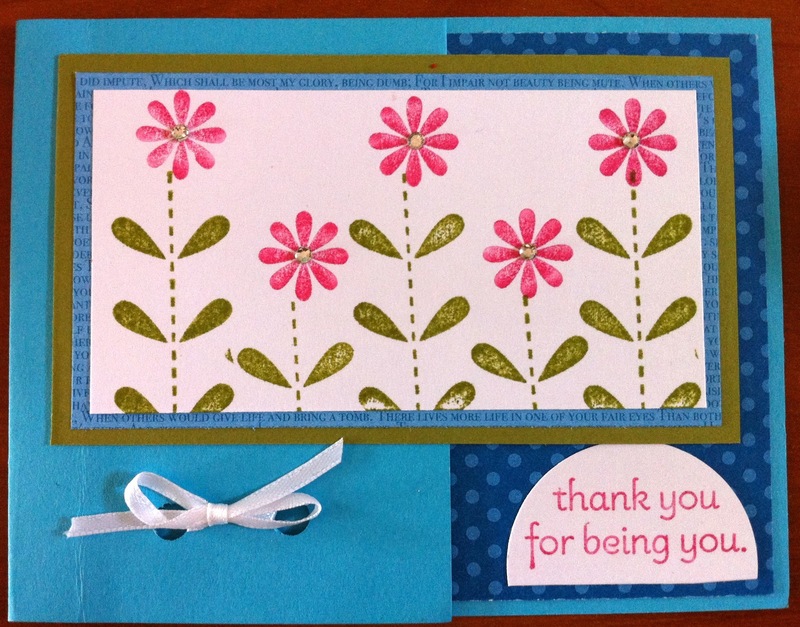 The first I made for the twins to give their teacher as a thank-you note to accompany the year-end gift. The second, I made to send a friend. 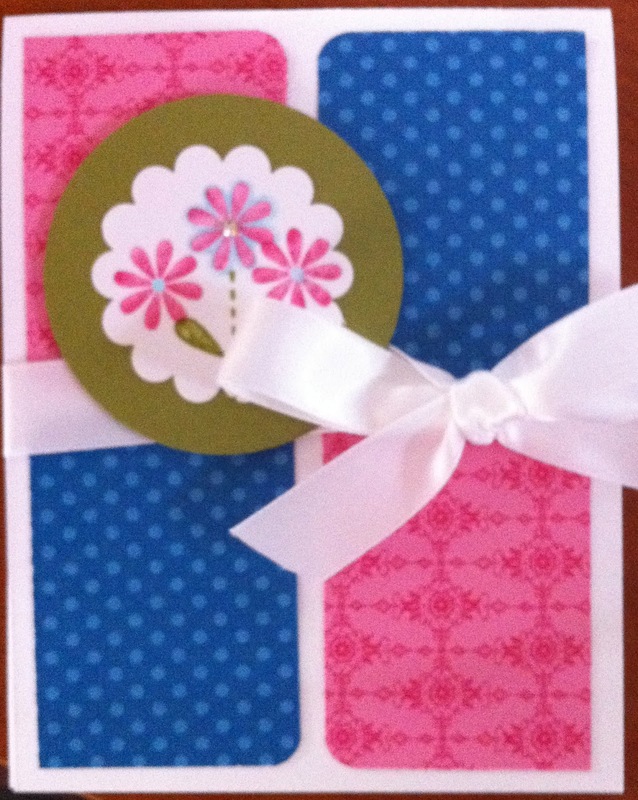 The summer mini catalog ends August 31 and this fun, versatile and inexpensive set will disappear.